Trust your property with expert artificial grass installation with ForeverLawn Landscape products. As an industry leader in artificial grass installation, our ForeverLawn® Landscape products offer a realistic, durable, and functional solution that will keep your property looking beautiful all year-round. This keeps your yard chemical-free and allergen-free, and our products are environmentally friendly. All of our artificial grass can be used for both residential and commercial properties. The ForeverLawn Landscape product line is made up of the DuPont™ ForeverLawn® Select line and the Endura Series. The ForeverLawn® Landscape product line incudes the DuPont™ ForeverLawn® Select Synthetic Grass line and the ForeverLawn® Fusion line. In addition to the DuPont™ ForeverLawn® Select Synthetic Grass products, ForeverLawn® is proud to introduce a revolutionary product to the synthetic grass market. 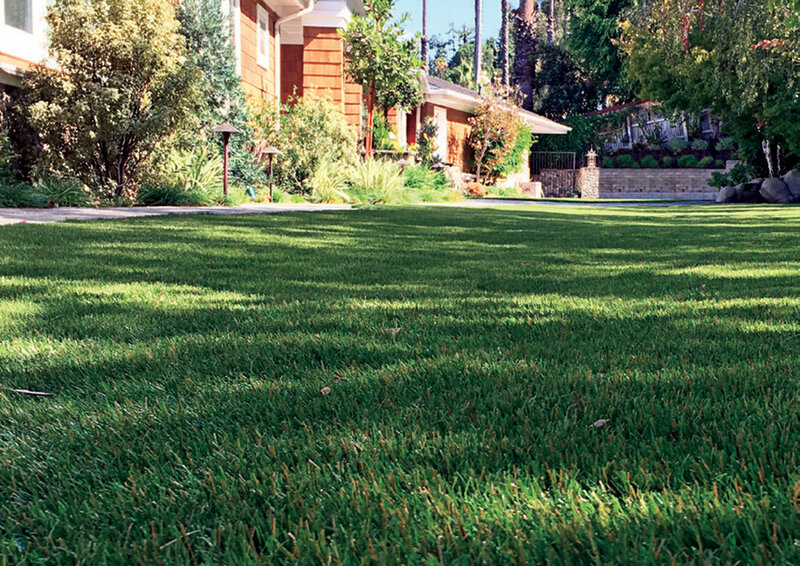 A groundbreaking advancement, ForeverLawn® Fusion is the perfect mix of appearance and performance to provide a synthetic grass unlike any other. Imagine the amount of money that can be saved by cutting out the monthly property management bill! No more watering, mowing, seeding, trimming, edging - the list goes on! With ForeverLawn® Landscape products, it becomes a set it and forget it situation. Although, it becomes hard to forget about it when you are reminded of how great it is every morning when arriving at work! Whether it is in the front yard, the back yard, the side yard, or even the strip between the street and sidewalk, ForeverLawn® Landscape products always bring a "wow" factor to your home. These realistic products are a great alternative to real grass, stone, mulch, or pavement. Imagine your yard without any of the standard maintenance: no mowing, no watering, no seeding/fertilizing, and especially no worries about mud and dirt!